My most important piece of gear is the camera body, and has been a great purchase. With the price of this camera body coming down (it's now regularly available for less than $1400)! Nikon's new class of cameras has been incredible, and is effectively immune to ISO settings, meaning that I can shoot at any reasonable ISO and edit in Photoshop to achieve good results. This allows a lot more flexibility in shooting, and means you don't have to worry about getting the perfect exposure (just make sure you avoid over-exposure and under-exposure). This camera has been great, and I couldn't be happier. If I was buying a new camera today, I would look to the D850, which is a definite step up. 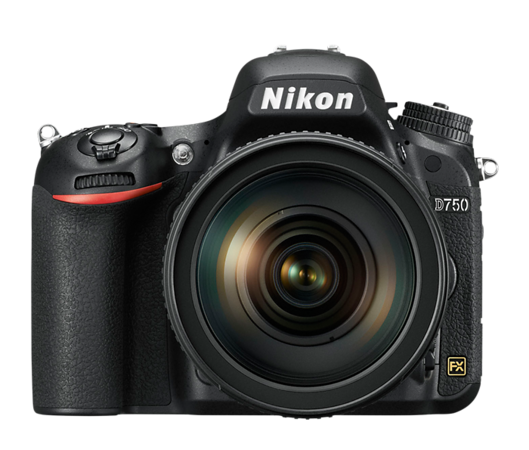 Admittedly, these are nice - and expensive - camera options, but Nikon has a great lineup of cameras for all levels. My original DSLR setup is listed below, and a similar setup can do wonders for a new photographer! This fixed lens does a great job, and is a nice lens in town. I like this for portraits, and it is simply an inexpensive - and great - lens. This is my primary "walking around" lens - it's a wide zoom range, and works great for pretty much everything. It has some distortion, but isn't bad. It does have some vignetting, but that is easily fixed in camera settings or in Photoshop. I shoot all of my landscapes with this lens, and have been really happy with it. It's highly recommended as an introductory FX lens. I just bought this lens, and haven't had a chance to use it for a real shoot yet. I will update this section when I am able to do so! Hoya HD Circular Polarizing filters - incredibly quality and optics. UV Filter - Don't let anything get near your glass. Always protect the expensive stuff with a UV filter. Op/Tech Rain Sleeves - whenever rain threatens, I throw this in the bag. It saved a lot of problems in Alaska! Extra batteries - Don't run out of power! Memory cards - Memory is so cheap, there's no reason to EVER run low. Tripod - This is the most over-looked and critical piece of equipment in my bag. You can't edit shaking out of a photo! Travel Tripod - When weight matters, I use a lighter-weight tripod that works nearly as well. Remote - I use this when taking my own picture, or when shooting with a slow shutter. This was a great camera a decade ago when I bought it. It was my introduction to DSLRs, and I learned a ton from years of using it. I can't recommend you buy this one anymore, but you can look at the D3500 or D5600 as great beginner lenses that you can learn from, and be happy with for a long time! This kit lens does its job, and was my walking around lens on the D90. I keep it around for a bad day (if my primary lens breaks) or whenever I have both the D90 and D750 going simultaneously. My "long lens" from my DX days, with the crop factor, this was effectively 450mm and was a favorite for special occasions. I used it primarily for wildlife photography, but it got landscape use, too. For the price, this was an incredible lens, and I highly recommend it. If I was buying a camera today, this would be my pick. It's a few steps up in every way from my D750, and it would be my choice if I was buying a new camera today.